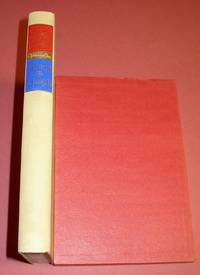 Very Good to Near Fine book that has sun fading along top and bottom edges, and softness at spine ends; in a Good to Very Good jacket that is clipped at both corners of front flap, that has edge and corner wear with a number of small chips and color loss, light rubbing, and mild sun fade to spine. This copy is inscribed – For Tim – and signed by author on title page with date 3/3/01. 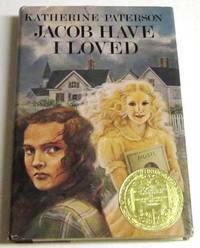 The 1981 Newbery Medal winner with medallion sticker on front jacket panel. 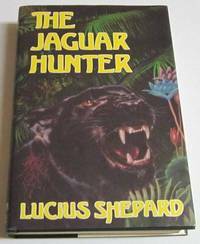 First UK edition 1st printing, Near Fine, unread book with slight ding bottom of spine and some gray rubbing bottom page edges, in a Fine jacket. Signed by Newman on the title page. Near Fine, unread book has mild rub bottom edges and very slight foxing top edges; in a Near Fine dust jacket that has a very slight fade of colors on the spine and hint of corner wear an unread.A colection of 11 stories, illustrated by Jeffrey K. Potter, with an Introduction by Michael Bishop. First Thus UK edition limited to 1000 trade copies. Near Fine book has stray, very light 1/4 inch ballpoint line bottom page edges toward front edges, slight bump top of back board and just a touch of mild foxing; in a Near Fine jacket that has several light overwrite impressions. This copy has been signed by Shepard on the title page. This collection has a few different stories, 13 in all, than does the Arkham House edition. First Thus UK edition limited to 1000 trade copies. Near Fine book has a light push bottom of spine, slight dusting top page edges, and opens easily to title page; in a Near Fine jacket that has light rubbing back panel and several light overwrite impressions. This copy has been signed by Bishop on the title page. This collection has a few different stories, 13 in all, than does the Arkham House edition. Fine minus book with crimping at spine ends, in a Fine minus dust jacket with a touch of corner wear. An unread book, signed by author on the title page. Fine minus, unread book with slight shelf wear and some softness at spine ends; in a Near Fine jacket that has light overwrite impressions both panels, and mild sun fading to spine. 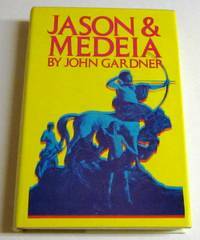 This is Gardner’s retelling of the ancient Greek story of Jason and Medeia. 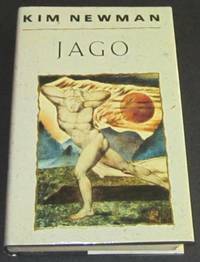 First edition 1st printing, Good to Very Good book that has soft spine ends, rubs at corners with bit of board showing bottom back corner, two bumps long top edge of back board; in a Good, price-clipped jacket with edge and corner wear, small chips and several closed tears, sun fade on spine, largest chip is at top of spine where about 1/8 inch is missing. 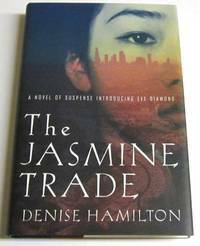 Author’s first book, winner of a Newbury Award but jacket has no Newberry sticker. Very scarce. 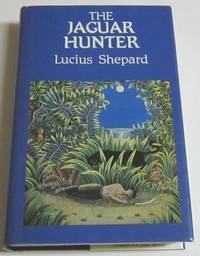 First UK edition, Fine minus, unread book with some waviness to page block; in a Fine jacket. 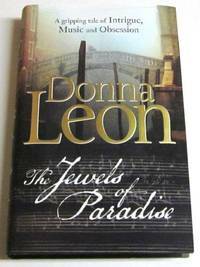 Intrigue, music, history, and greed drive a stand-alone mystery that does not feature her popular Commissario Brunette. B.E. 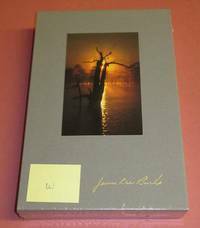 Trice First lettered limited edition, Fine book bound in black leather, in Fine slipcase, no dust jacket as issued, signed by Burke on the limitation page. 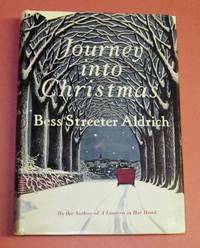 Another beautiful production by B. E. Trice, still in publisher’s shrink wrap. This is letter W of only 26 such copies produced. 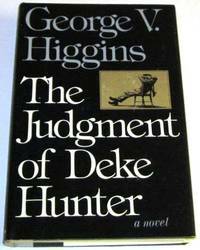 First edition 1st printing, Near Fine, unread, book with pushes at spine ends and a small, gray smudge to front page edges; in a Very Good to Near Fine jacket with slight soiling, touch of sun fade to spine, and several wrinkles along top edge. This is book number XV in the Western lands & Waters Series. 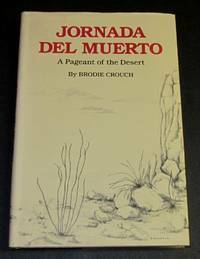 Book is about the history and peoples of the infamous shortcut on the Camino Real, the road from Mexico City to Santa Fe. Heritage reprint edition in two volumes, both in slipcase. Volume One is Fine minus book with very slight wear and touch of soiling on spine in a similar slipcase; Volume Two is Near Fine with slight soiling and rubbing on spine in a Poor slipcase that has wear and rubbing and with split along seam at spine back panel. 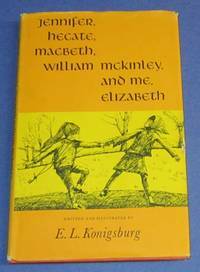 Illustrated by Carl Bodmer and other artists. The Heritage Club Sandglass brochure is laid-in Volume One. 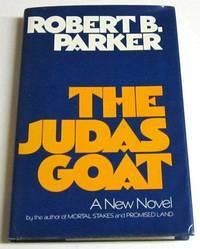 First edition 1st printing, with required 1 on final page. 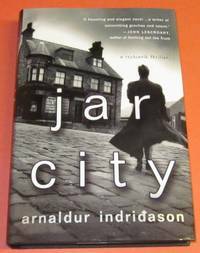 Very Good book with bright boards, touch of sun yellowing on spine, with interior tears, and chips along page edges where a number of pages were uncut – owner did not cut these pages with care. In a Fair dust jacket with soiling, sun fade on spine and significant chips and closed tears, especially along top edge and bottom of spine. A Christmas gift inscription, in pencil, top of front paste-down, dated Dec. 1949. Very Good to Near Fine, unread book that has light wear and slight color loss edges and corners, soft at bottom spine end, with boards that are slightly splayed; in a Very Good to Near Fine jacket that has light edge and corner wear, several small closed tears, light rubbing both panels with several light overwrite impressions, with mild sun fade to orange lettering on spine. 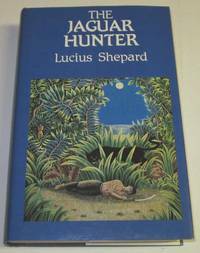 First UK edition 1st printing, Fine minus book that is slightly loose at the title page, in a Fine minus jacket with touch of wear at corners. Edmond’s third dog-related mystery. Very Good unread book with slightly bumped bottom corners and light edge wear, in a Near Fine jacket with slight edge wear and a touch of rubbing. Higgins fifth mystery signed on the half title page. 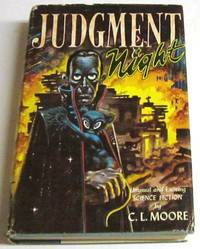 First edition 1st printing, Moore’s first book – five novellas. Very Good book has edge and shelf wear, soft at spine ends, with light bumps on corners, in 1st state binding with red letters on spine. Good jacket has edge wear, small chips, white back panel rubbed, soiled, and slightly faded, rest of jacket is still bright but it has a ¾ inch loss across top of spine, not affecting title.